Lately, I have been using a lot of freshly pickled cucumbers in salads and appetizers. For personal taste, I prefer fresh homemade pickle more than store bought. Cucumbers, pickled just a day before using or in-fact pickled just 2-3 hours before using, have nice crunchy bite and indescribable pickling spice taste. 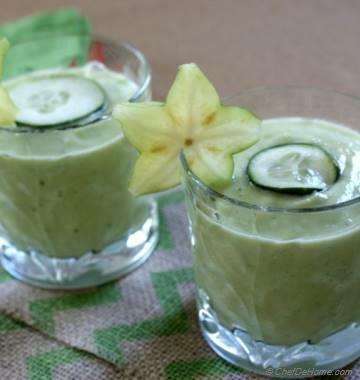 Since, this is late summer recipe week and cucumbers are everywhere in farmers market, I have been trying recipes with extra cucumbers that I bought with groceries last week. 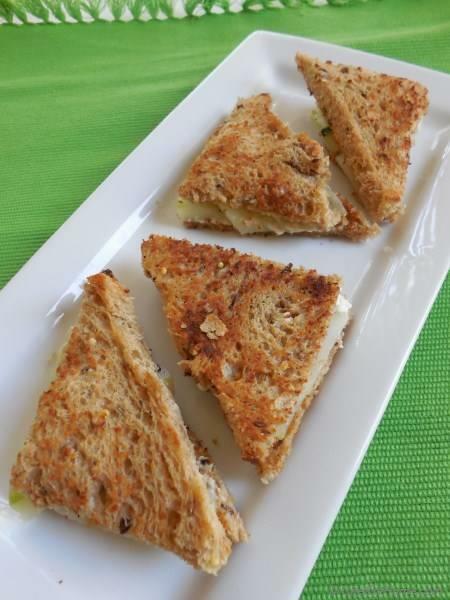 Today’s recipe is actually two-in-one - a quick cucumber pickle and also a Cucumber Tea Time Sandwich. Paring of cream cheese with cucumber sandwich might sound little strange to you, but I have used it to compensate for milk cream that I have grown up eating. In my childhood days, milk was never sold in containers and my mother always boiled milk to kill any bacteria. Once cool, milk will have a thin layer of cream at the top and that was my delicious creamy spread for breakfast every morning. 1. 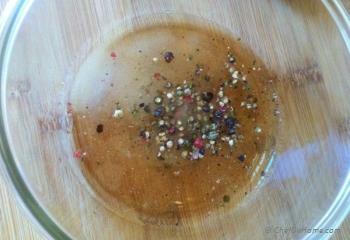 Make Pickling Liquid - To make the pickling liquid, combine together vinegar, salt, sugar and pepper corns. Whisk well and set aside. 2. 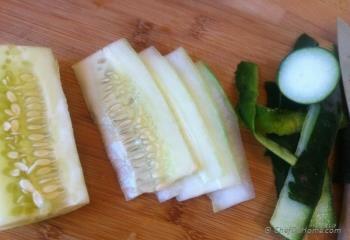 Slice - Peel and Slice the cucumber into thin vertical slices which will hold well in bread sandwich. 3. 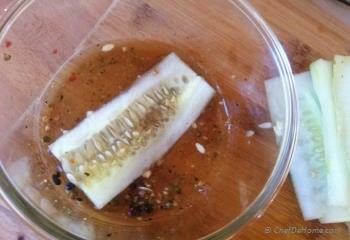 Make Pickle - Coat the cucumber slices in pickling liquid. Cover and refrigerate for 30 minute – 2 hr. 5. 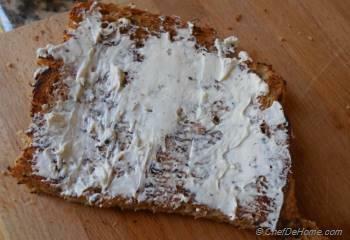 Spread - Use a butter knife to spread Cream Cheese Spread on 2 pieces of the bread and leave other 2 as is. Whipped cream cheese spread very easily. You can also make cream cheese easily spreadable by whisking room temperature cheese for 2-3 minutes. 6. 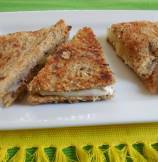 Sandwich and Serve - Sandwich two slices of cucumber between two bread slices, one with cheese and other without it. 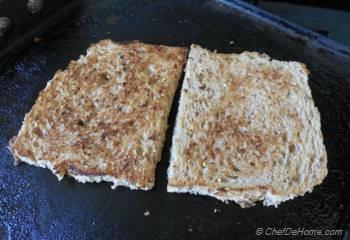 Assemble all 4 sandwiches, slice each sandwich diagonally and serve immediately. For big batch of homemade pickles, instead of making spice blend at home, I always prefer to buy Dill Pickle Mix. 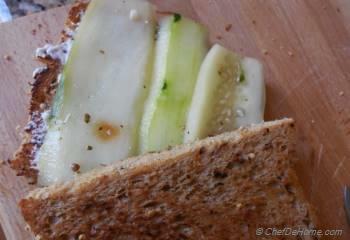 I recommend, for this sandwich, cucumber pickle is fresher the better. However, this sandwich tastes good with store bought Dill Pickle too. 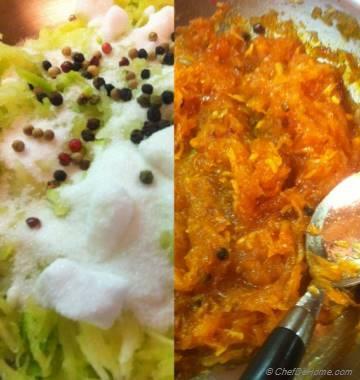 Please note, prep and cook time does not include idle pickling time. thanks @June and @Branda. 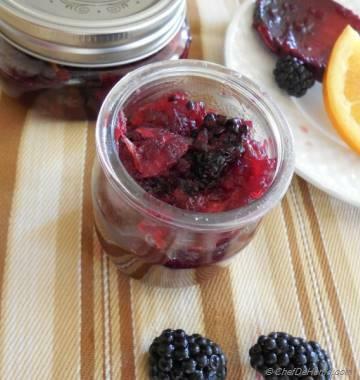 @Stella, its good to know you are all set in home canning mode with tools and spices supply. Thanks for sharing sale info. Is it available only online or at Walmart store too? However, I always shop for canning material at target store. Walmart has recently reduced pickle spice prizes, I am buying all my supplies from there. spices, and jars, lids too. Love home canning and dill pickles. Can't wait to try your recipe.